Art can make or break a room! Do your friends tell you “your art makes the room!” If not, know that once you find the right art it can be the touch that brings the room to life! If it’s the right size & shape, it can even make a room feel larger, or make your furniture feel correct in scale. Below we’ll share 10 interior design tips to find art. Selecting art that is the correct is not easy! In fact, it makes shopping for rugs or furniture seem like a piece of cake! Perhaps you’ve been searching for art for years? Do you get caught up in the question “do I like the subject matter?” That’s the reason most people don’t buy art. They wait for a scene they created in their mind that just doesn’t exist! They imagine a hillside or pond which again, just doesn’t exist. Or they find art they like but the color combination is wrong, or the price is too high. Unexpected art makes the space unique! Are you tempted to give up the search for the correct art, to throw in the towel and do one of these 3 things? After all, it would be easier! But you have to ask yourself, is the mirror going to reflect something beautiful? Or is it just a reflection of the ceiling fan, the plain ceiling, or a busy bookcase? Could the room look more interesting with color and texture? Something more unique than a mirror? Check out our blog link below, which shows rooms where we replaced a mirror with art!! It can make a huge impact. Sometimes a grouping or collage can end up looking like a hodgepodge. Don’t get me wrong, they’re great in the right spot, perhaps a hallway, or a small wall. But a collage is not the best option in a large room or a room with large furniture (such as a big sofa or a fireplace). Large art helps “balance” the size and scale of large furniture, and yes, even that big flat screen TV! Also, framing 4 to 5 small pieces can add up to just as much money as one amazing piece of art. People often tell us they’ve searched for years for art they love. In the meantime, they hang “temporary” art. But if the art is too small, or too stuffy, or not adventurous enough, it will ruin the room. 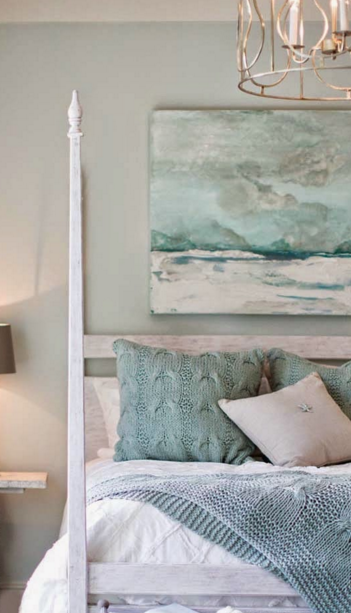 If art doesn’t fit your personality, or if it’s staid, it’s best to not hang anything at all! Is it the correct Size and Scale? – Does it make my room look cluttered? Does it convey the MOOD I want? Example, does it make the room less formal, or less traditional, more personality filled & fresh. Shape – Avoid a horizontal, unless you have high ceilings and a large room. Horizontal art can stop the eye to where you don’t appreciate architecture or tall ceilings! Color combination – do the colors flow well? With the rug? The sofa? Other art? Granted, the colors do not have to match the space! But do they complement your fabrics, rug, and other artwork! Texture? original art with texture is always a bonus! Flow? Does it fight with or compete with existing art? Price – is it within my budget goals? Picture frame? Art that is already in a quality frame will save you from expensive custom framing! Have you priced a custom frame job lately? One large frame & matting job can easily be over $750 to $800 or more! Unique? Example not from the local Pier One Imports or a mail order source that everyone else is using. Ask yourself, do I want to walk into a friend or neighbor’s house and see the exact same piece? Not too busy? Are my rugs or fabrics busy? Is it a reflection of good taste for high-end interior design? To find art for this Greensboro, NC home, we found a local artist. This two-story height needed large art. 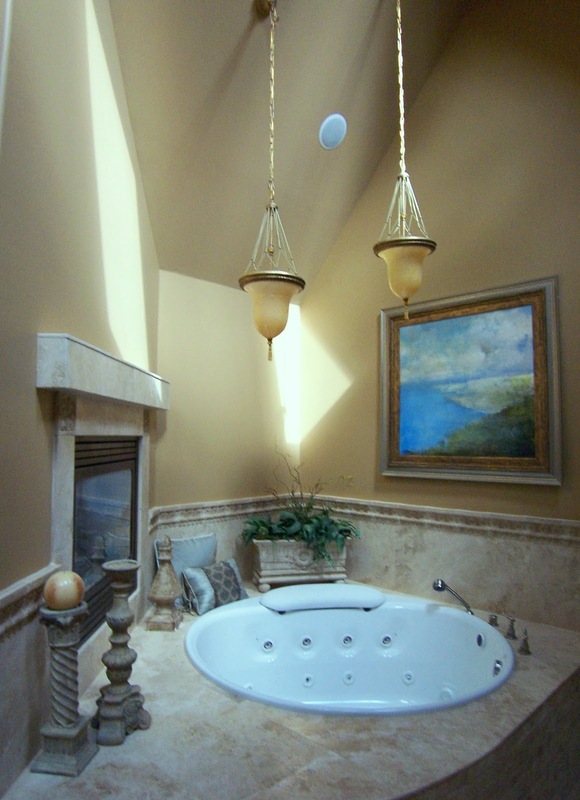 The fireplace (left) and tumbled stone was beautiful, so we found a soothing water scene that didn’t compete. Best of all, this art came in under budget for the space! Now, where to find the right art? You can look at a local art gallery, though the prices will be steep! You can ask a qualified interior designer in your area. Be sure to ask if they have art in stock. It’s best to see art in person, in your actual home, instead of ordering it! Viewing the actual piece instead of a website or catalog can save you from costly mistakes! You can have it commissioned by a local artist. However, if you request custom that can take a while and the artist’s vision might be completely different than what you had in mind. It’s best to have your designer show you art that is already complete, perhaps from Local artists in the Greensboro and Winston Salem, NC area? 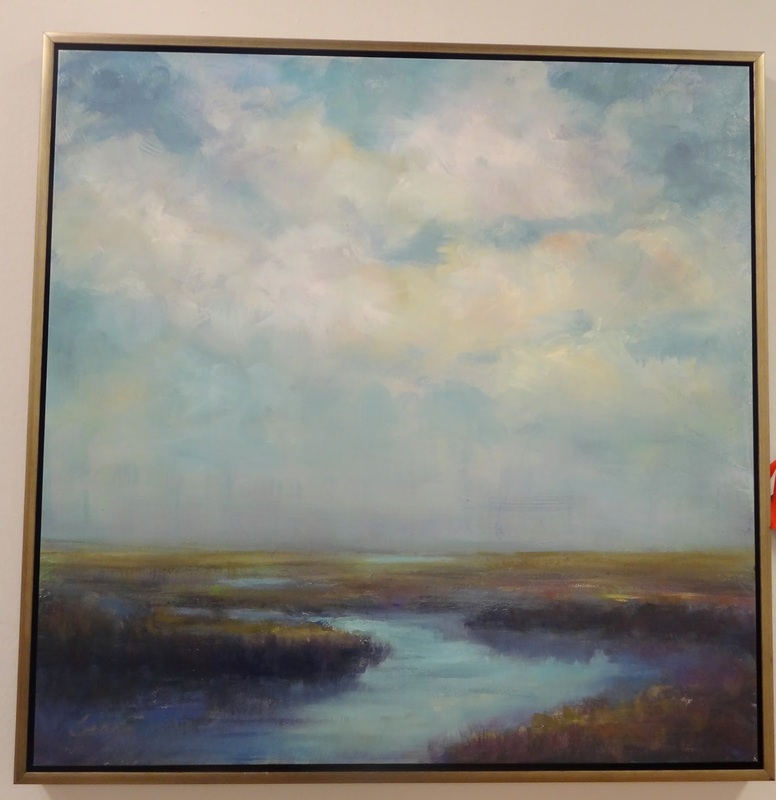 To find local art for this High Point, NC home, we found a local artist. 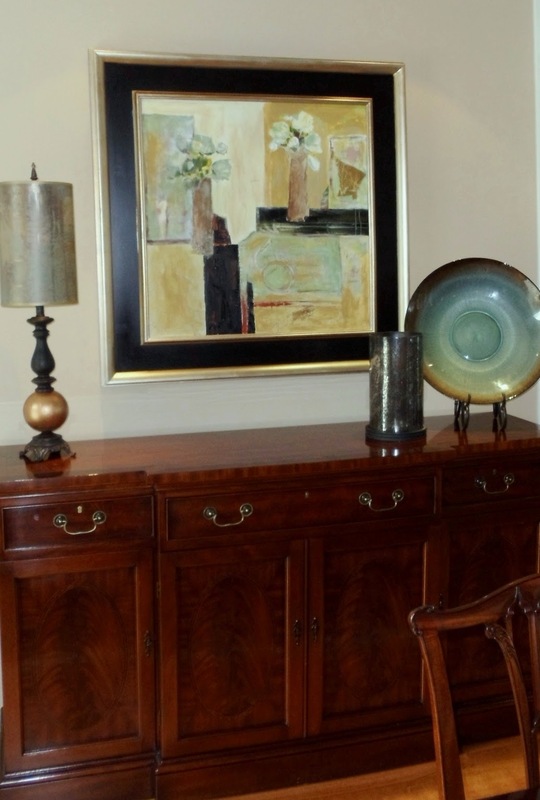 This contemporary art helped add a fresh vibe to the clients very traditional furniture. Contemporary art in a craftsmen style very traditional home. As a design firm, we search for art from local artists in Greensboro, NC and Winston Salem, NC. We also search through galleries and showrooms in California, Vegas, Atlanta, Chicago and High Point Markets. After all, art can make or break a room! Are you trying to decide between art and a mirror? Or what art to put over a mantle? Here’s a popular blog to address that question – with before and after photos! How to furnish a game room so the entire family will enjoy it! We spent too many years settling for a collage which was always crooked! My hubby and I will use your 10 question guide for finding a nice large piece of art, thanks! Unfortunately we did just that! We caved and did the ‘just hang a mirror’ route! We have far too much invested in these huge ornate mirrors to replace them now. I wish I could cheer up my rooms with color! UUUG. I spent years hanging horizontal pictures or nothing at all. I cannot wait to see the new art we chose with you hanging on the wall. The big art just makes the room! For me the more abstract, the better. I HATE it when someone fills a wall with lots of tiny art or photos.